Let us tune you happy! 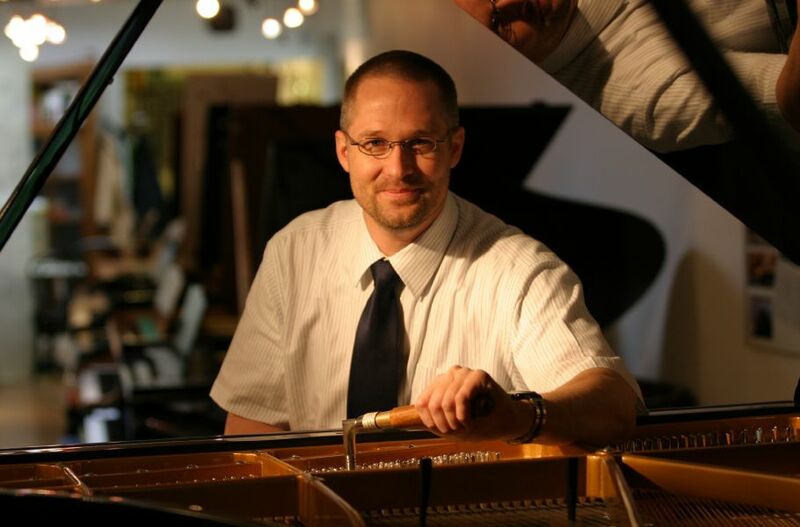 We tune grand pianos and pianos in the area around Trier, in the Saarland and in Luxembourg. Your piano is not out of tune because you cannot play the right tones but because it is subject to constant changes in climate and temperature – especially during autumn and spring. During these seasons, the humidity in the wood changes, causing the sounding board to rise and fall , resulting in erratic changes in the tension of the strings and faulty tuning. We restore the optimal string tension so that they resonate in the correct frequency again. 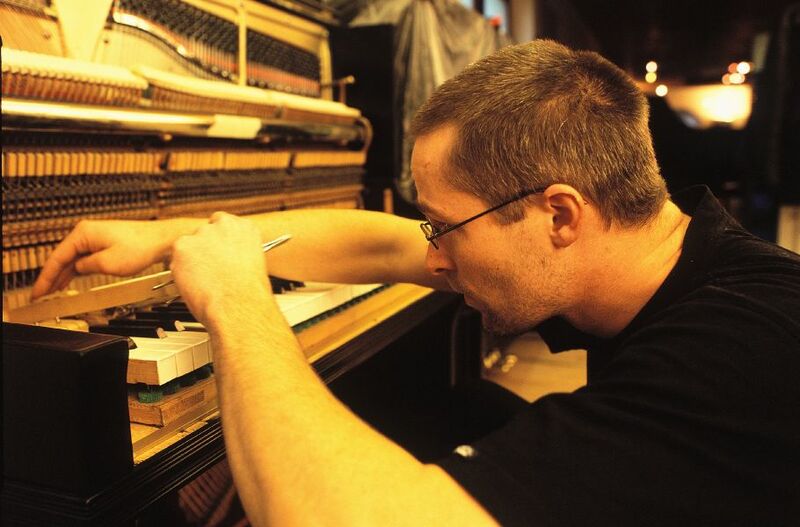 Depending on the piano and the degree of restoration required, a good piano builder can return the harmonious sound to your instrument within 1 to 2 hours. How long the piano stays in tune depends not only on the climatic circumstances but also on the piano builder’s skill and experience. That is why we only employ experienced piano builders and master piano builders to service your piano. WARNING: The piano manufacturer’s warranty becomes void if the tuning work is carried out by a layman without a recognised piano builder qualification. Title * Please select one...Mrs.Ms.Mr. The Pianohaus M. Hübner e.K., Theodor-Heuss-Allee 14, 54292 Trier, owned and operated by Mr. Marcus Hübner, collects your data for the purpose of processing them to carry out contracts, to fufill contractual obligations before and during the contract’s duration and for purposes of direct marketing. The data processing is necessary for us to send you product advertisements by e-mail and is based on article 6 paragraph 1 a) DSGVO. With direct marketing we would like to inform you about our products and services and to send you news about our company. The data will not be passed on to third parties. The data will be deleted as soon as they are no longer required for the purpose of processing them. The data will not be passed on to third parties. The data will be deleted as soon as they are no longer required for the purpose of processing them. You have the right to request information about the data we have stored about you and to demand correction if the data is incorrect or deletion if the data has been stored inadmissibly. You can reach us at info@klavierbauer.de or at Pianohaus M. Hübner e.K., Theodor-Heuss-Allee 14, 54292 Trier, Germany. You also have the right to appeal to the supervisory authority. 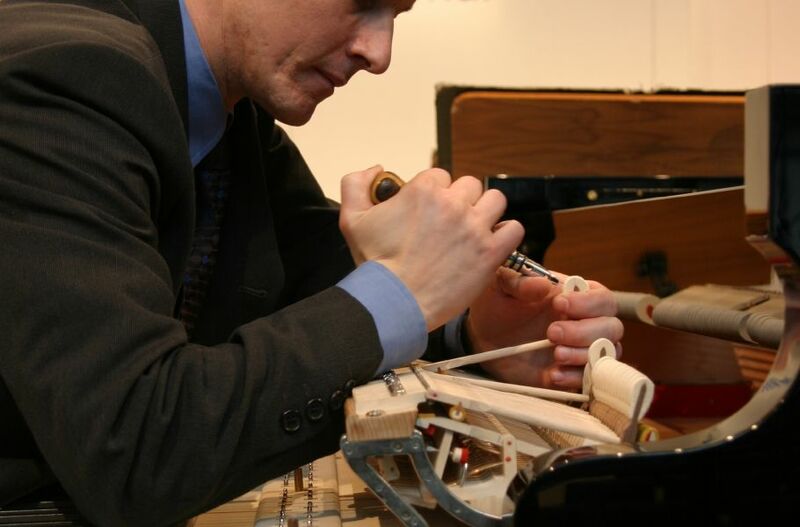 In the following video, our master piano builder, Jens Wagner explains why, when, and by whom a tuning should be done.